Microsoft made a lot of gamers happy at E3 when it announced backward compatibility was coming to the Xbox One in November. The Redmond-based company made good on that promise last month and now, several additional titles have been added that are now playable on its latest console. An additional 16 Xbox 360 games join the 104 titles that are already backward compatible, bringing the total count to 120. The new games include Braid, Deus Ex: Human Revolution, Doritos Crash Course, Fable III, Halo: Reach, Hydro Thunder, Iron Brigade, Kane & Lynch 2, Motocross Madness, Ms. Pac-Man, Peggle, Portal: Still Alive, Spelunky, Splosion Man, Ticket to Ride and Zuma's Revenge! As is the case with all of the games, they work regardless of whether you have the physical disc or a digital copy. Microsoft's Larry "Major Nelson" Hryb announced the new additions on his blog, noting that gamers have already logged more than nine million hours playing Xbox 360 games on the Xbox One. The most popular games thus far include Fallout 3, Gears of War 3, Just Cause 2, Assassin's Creed II and Dirt 3. 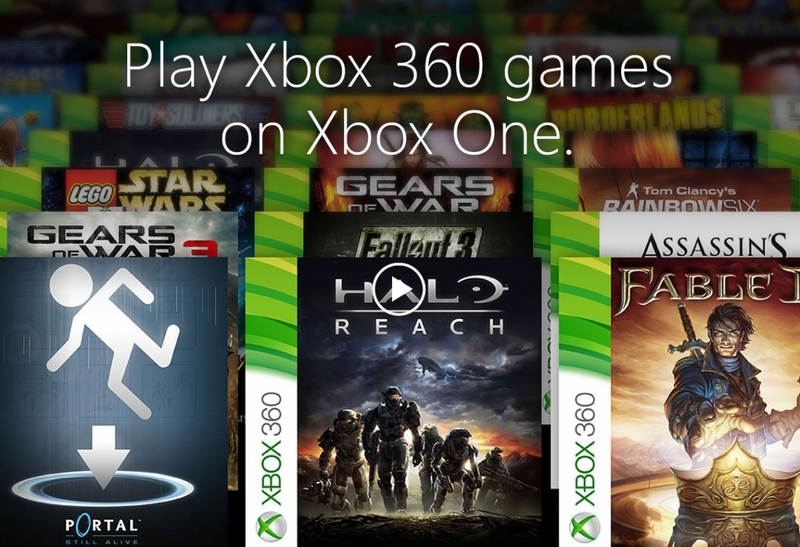 Hryb said Microsoft is continuing to work with publishing partners to grow the list of backward compatible titles and that they plan to add to the catalog on a regular basis. Gamers are also encouraged to vote for which titles they want to see added to the list over on the Xbox Feedback site. "As is the case with all of the games, they work regardless of whether you have the physical disc or a digital copy." I would give MS a high five, if that also included digital copies from Steam. We won't. They are competitors. Nice thought though. I hereby suggest to all Steam's competitors that until they support games that have already been purchased through Steam, their platform from my perspective will never be appealing. Did someone toss that in there to see if we were paying attention? That's not exactly the triple 'A' title that I would have expected them to port over as soon as they could. I love *****ic opinions like this. You know, Microsoft should also support all games I once saw in a dream. I don't actually own those games or anything and some of them don't even exist, but I demand that MS adds them to the list ASAP !!! You call my opinion *****ic and then you follow it up with one of your own as sarcasm. It's not *****ic to expect the capability to play a game on any platform when you have digital rights to said game. What's *****ic is the developers not allowing digital rights to be valid regardless of platform, especially when said game is available on all of them. I can somewhat understand having platform exclusives, I don't like them but understand the reasoning. I don't understand having digital rights that are specific to platform when they are not exclusive. It is digital rights to the game not platform rights, you should get your thoughts together.
. What's *****ic is the developers not allowing digital rights to be valid regardless of platform, especially when said game is available on all of them. I can somewhat understand having platform exclusives, I don't like them but understand the reasoning. I don't understand having digital rights that are specific to platform when they are not exclusive. It is digital rights to the game not platform rights, you should get your thoughts together.